Chitral .. 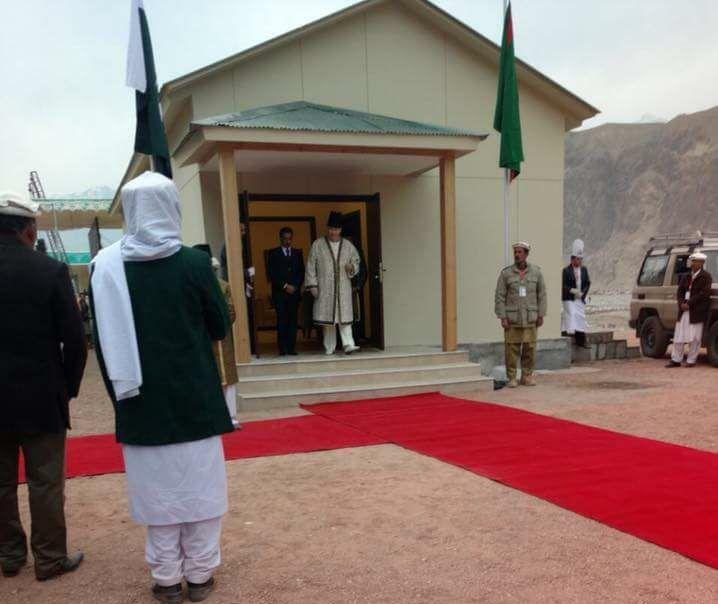 The Ismaili Community in Chitral district is eagerly awaiting to have a glimpse of their beloved Imam HH Prince Karim Aga Khan who is due to visit Chitral to give a “Deedar” to thousands of his adherents in the ‘ Deedar Gah’ in the headquarters of subdivision Mastuj, Booni. The volunteers of the community are working day in and day out to make the necessary arrangements prior to the arrival of the Imam. A vast tract of land adjacent to the River Yarkhun in Booni is reported to have been reserved for the congregation of the community members to have a glimpse of the Imam. 2017, December: H.H. The Aga Khan will be visiting his followers in the Northern Areas for Diamond Jubilee Darbars and other areas of Pakistan for religious work. His visit is expected the last days of November or the first week of December. Preparations are well under way. The visit is confirmed. There may be few days of adjustment in dates. Official announcements will be made in all JK of Pakistan this Sunday evening. The Imam is NOT expected to attend the Convocation at AKU and it Anniversary celebrations. There will be 3 days of mulakat at Garden JK, (2 days for Karachi Jamat and 1 day for Sindh Jamat/Hyd) Areas around Garden JK will be sealed for 3 days for public transport, all parking will be at Nishtar Park, shuttle services will be arranged from there to Jamatkhana, no private cars are allowed inside jamat khana apart from the registered shuttle services which will drop the jamat outside JK. No cars will be allowed inside JK. All Volunteers will be in civil with special cards allocated prior to a day. Lunch/Refreshments will be served at different locations for all jamats. Bulletproof glasses are installed near the no-go zone areas & celebration and progress of other work are in progress. All Pakistani residences residing abroad (outside Pakistan) will not be allowed for registration. BOONI: The local Ismaili community is continuing work on the preparation of a venue where His Highness Prince Karim Aga Khan is expected to give Didar to them soon. Work on the preparation of the venue started on Oct 22. 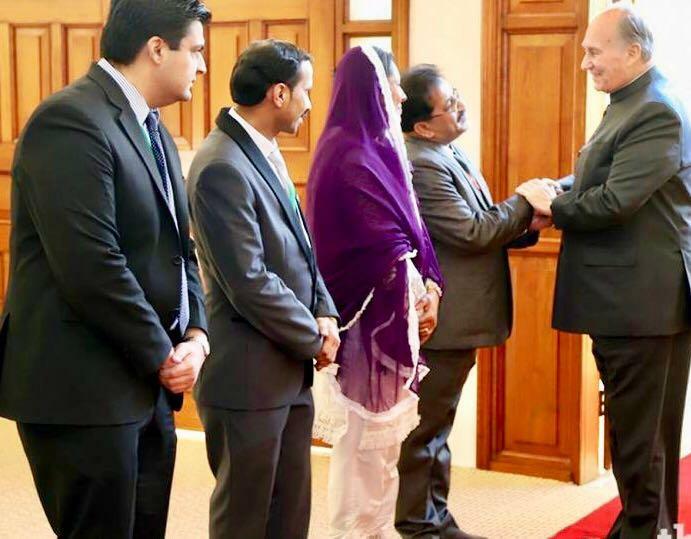 But so far neither the government nor the Ismaili Council for Pakistan has announced any date for the expected arrival of the spiritual leader of the Ismaili Muslims in connection with his diamond jubilee celebrations. 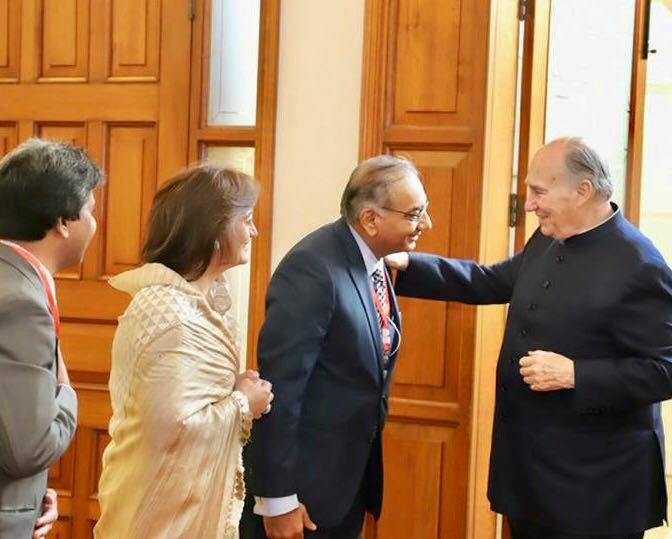 Earlier, it was expected that Prince Karim Aga Khan would visit Pakistan in the middle of October but due to his preoccupation with the ongoing world visits to meet his followers in connection with the diamond jubilee celebrations it had to be delayed. Sources in the community told ChitralToday on Monday that Prince Aga Khan was now expected to arrive in Pakistan in the first week of December. Ismaili community elders in Booni told ChitralToday that work on the preparation of the Didargah was continuing and the Imam was expected to give Didar to the Ismailis in the first week of December. “It may be on 3rd or 4th December but the date is not fixed,” they added. 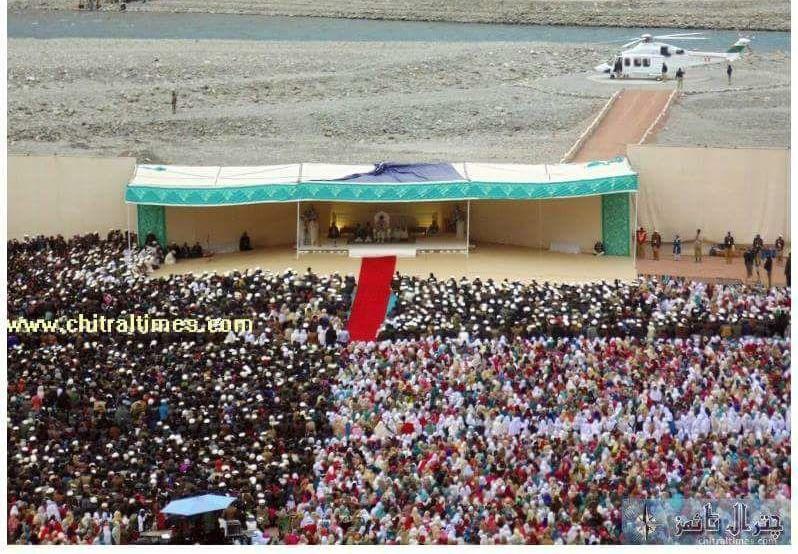 They said similar venues for the congregation of the Ismailis to have a glimpse of their Imam were also being prepared in Garam Chashma Chitral and Hunza in Gilgit-Baltistan. The community members have started preparations for the event and residents of Booni and nearby areas have been asked by Ismaili institutions to make arrangements for hosting at least 20 people each coming from far-off areas to Booni for the Didar. Posted: Mon Nov 27, 2017 3:25 am Post subject: Aga Kgan community Leaders meet Mayor re first week of Dec..
KARACHI - Mayor Wasim Akhtar said Karachi is a city where people belongs to different caste and cultures lived and therefore interfaith harmony and promotion of equality and brotherhood is essential here. The Aga Khan Development Network performed excellent work in Pakistan, especially in Sindh, in the education, health and other sectors. 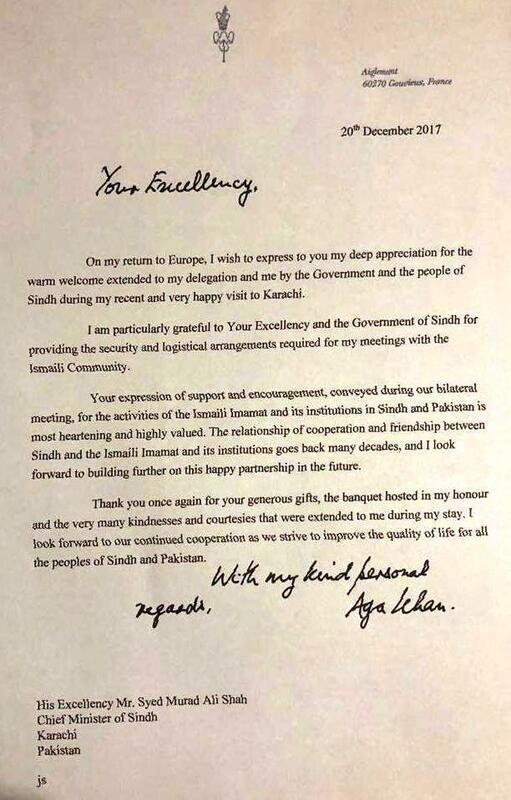 The visit of Prince Karim Aga Khan in Karachi in connection with his diamond jubilee celebrations in the first week of December was an honour for us. All municipal facilities will be provided at the gatherings of the Ismaili community people during these programmes in different areas of the city. This he stated while talking to a delegation of Ismaili Community led by Amin Lakhani which met with him in his office on Friday. The delegation informed Mayor Karachi about the golden jubilee celebrations of Prince Karim Agha Khan IV and the programs which are scheduled to be held on this occasion. They said that Prince Karim Aga Khan, 49th hereditary Imam, spiritual leader of the Shia Imami Ismaili Muslims will be completing 60 years as Imam on July 11, 2017. He succeeded his grandfather Sir Sultan Muhammad Aga Khan III on July 11, 1957. 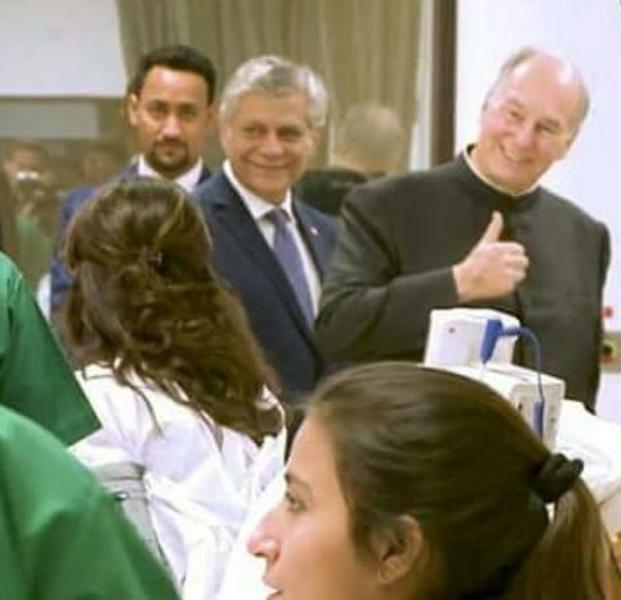 Ismailis, keeping with historic tradition will celebrate this occasion-the Diamond Jubilee of the Imam during July 2017 and July 2018 during which advance social, cultural and development projects will be launched. 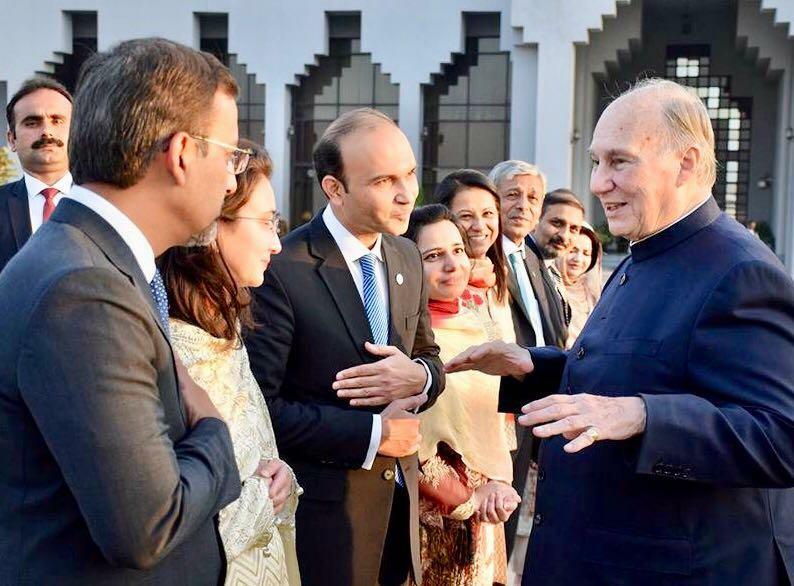 Over the last 60 years, Prince Karim Aga Khan worked relentlessly for sustainable progress of the Ismaili community, the wider Muslim community and the people amongst whom they live. His efforts have improved the quality of life for millions and impacted all aspects of the human condition. The Aga Khan Development Network has been extended overseeing areas of development including education, health and culture, improved living conditions for people regardless of their religion, race, ethnicity or gender and uplift deprived communities. Wasim Akhtar congratulated the delegation on the Diamond Jubilee of Prince Karim Aga Khan and expressed hope that the Ismaili community would commemorate the Diamond Jubilee of its spiritual leader in a befitting manner and this would prove a launching time of new socio economic and development projects at grass root level all over the world. Meanwhile, a six member delegation of KarachiTajir Ittehad led by its chief Atique Mir called on Mayor Karachi Wasim Akhtar in his office on Friday to discuss with him the matter of removal of 118 shops of Baloch Park near Eidgah. Atique Mir said that the shopkeepers who lost their shops due to anti encroachments action under the orders of the Supreme Court were presently suffering due to joblessness and they urgently need some place where they could do their work and fed their family. The mayor assured the delegation that this matter would be reviewed on humanitarian grounds and he would do whatever be possible in this connection. He also directed the law department and Estate Department of KMC to submit full report of the removal of these shops around the Mir Mohammad Baloch Park. Last night in JK Mukhi Sahb announced the program of MHI visit to Pakistan. He will be visiting from 4 to 18th this month. The visit will start at Chitral to Islamabad to Karachi. He will be in Karachi from 14 to 18th. Thank you for remembering us during the Didar of MHI. Pray, we get the same happy Didar & Mulaqaat. BOONI: Seven villages will host the Ismaili community members belonging to far-off areas who will converge on Booni for the Didar of their Imam His Highness Prince Karim Aga Khan early next month. As arrangements for the mega congregation entered final stages, Kuragh, Charun, Junalikoch, Booni, Awi, Meragram No 1 and Parwak lower have been declared the host villages whose inhabitants will be tending to all those coming to Didar from Yarkhun, Laspur, Torkhow and Mulkhow valleys. In this regard, a list of about 3,000 houses has been prepared whose owners have volunteered to host from five to 100 guests each. The Sunni community has not only offered to equally host the guests but is also participating in the preparation of the Didargah near Booni. According to information gathered by ChitralToday, around 100,000 people are expected to gather at the Didargah from different parts of Upper Chitral, including the host villages. The Ismaili jamaat has decided that all those coming from Yarkhun will be accommodated inside Booni, those from Laspur valley will stay in Awi and Meragram No 1 while participants from Torkhow and Mulkhow valleys will be staying in Kuragh, Charun and Junalikoch. The people of Yarkhun would be asked to move at least two days before the Didar, a date for which is yet to be confirmed. Counters will be set up in each of the host villages where volunteers will receive the guests and take them to a house in accordance with their numbers. The volunteers will have the list of people in the villages who have agreed to host the guests. According to the list seen by ChitralToday, residents of Booni, Awi, Kuragh, Meragram, Parwak, Charun and Parwak have expressed their willingness and are making arrangements to host from five to 100 people each. Arrangements are also being made in different villages such as Bang, Brep, Mastuj etc., to facilitate the night stay of people from upper Yarkhun and Broghil valley who would not be able to reach Booni in one day. On the day of Didar, a shuttle service operated by the Imami organizations will ferry the people from the host villages to the Didargah. Meanwhile, work on the preparation of the Didargah has entered the final phase with the construction of over 100 toilets on the riverside. The local people, including the Sunni community, are taking active part in the work and have pooled in money to prepare the venue. Local philanthropists as well as the tehsil municipal administration (TMA) have provided heavy machinery and other vehicles to help the volunteers level the Didargah. Roads from Torkhow, Mulkhow, Yarkhun and Laspur valleys to Booni are also being repaired by the local people on a self-help basis to facilitate the Didar participants. 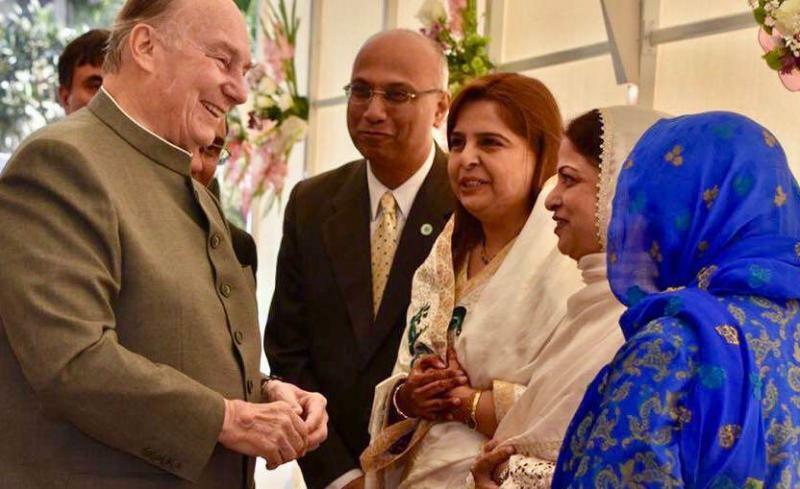 KARACHI – Prince Shah Karim Al Hussaini the spiritual leader of the world’s 20 plus million Ismailis, is scheduled to visit Pakistan next week. According to an internal communique, the Aga Khan IV will reach Pakistan on the 7th of December. An invitation for visiting Pakistan was extended to the Aga Khan by President Mamnoon Hussain early this year. He is expected to meet huge congregations of his followers on the 9th of December in Chitral and on the 10th of December in different parts of Gilgit-Baltistan. He will meet the community in Islamabad on the 12th and 14th of December in Islamabad and Rawalpindi, before departing for Karachi, where he will spend two more days, meeting community leaders and government officials. 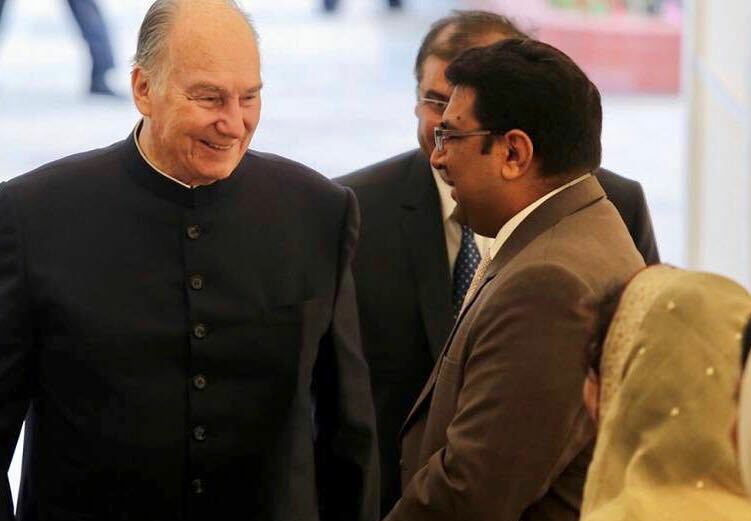 The Ismailis are celebrating the Diamond Jubilee of the spiritual leadership of the Aga Khan, who has been leading his community to prosperity for the last six decades. The last time the Aga Khan met his followers in Pakistan was in 2000. Chitral .. The scheduled visit to Chitral of His Highness Prince Karim Aga Khan, the spiritual leader of twenty million Ismaili Muslims is awaited with much reverence and enthusiasm in this highland district. The Aga Khan is not only holy to the Ismailis but muslims from all sects respect and regard him as a benevolent personality who has served humanity in his capacity without any discrimination. He has always presented a pleasant and amicable face of Islam in international forums. The high spread and standard of education in Chitral and northern areas is due to his noble vision that he got implemented four decades ago, and is bearing fruit today. Ismailis who erstwhile did not have much opportunities to prove their capabilities are now in the forefront in every field. Students are offered opportunities to pursue their studies from Australia to Canada and from Portugal to Kenya and Central Asia. A better groomed, more confident generation owe their progress to the Aga Khan. The extensive influx of donor money through the AKDN has also benefited many Chitralis in different fields. All this could not have been possible without the generosity and the charismatic personality of His Highness Prince Karim Aga Khan .. CN Editorial, 01 Dec 2017. Mubaraki to the entire jamat of Pakistan! At last, the Sun is set to shine over this land and I am sure there is rejoicement and utsah in the entire country. It is my sincerest prayer that beloved Mawlana Hazar Imam be shown the greatest humility, devotion, and respect, especially by the Mukhi Kamadia Sahebs during the forthcoming Mulaqats. Please note the word ‘humility’. It is very wrong to remind the Imam about anything at all and it is even worse to ask the Imam inane questions. The Imam is All-Knowing; the Lord of the Universe. How can any of us have the temerity to feel the Imam has forgotten to say something and how can we be crass enough to ask the Imam any questions? I was shocked and disappointed whilst reading testimonies of the mulaqats in Toronto. How could any Mukhisaheb tell Imam that He has forgotten to give blessings for Ruhani or to volunteers or any other such reminders? How awful is this! This shows Mukhisaheb has no clue about who the Imam is. And such remarks to the Imam are high forms of disrespect, which, I’m sure, greatly sadden our Imam. He may, out of His vast Munificence, treat such remarks lightheartedly but that does not retract from the fact that they are disrespectful. This was very insulting, a very crass allusion to the Imam’s age, at the very least, and an insult to the principles of Jamat ke Hai Zinda and Ulil Amr Minkum, if we are to think deeper. Had this Mukhisaheb completely taken leave of his senses?? Or is he arrogant enough to think that he can crack jokes with the Imam? The Imam and himself are of the same level? This was a real dark moment and I urge all the Mukhi Kamadia Sahebs of the Pakistan jamat to make sure there is no recurrence of such mistakes during their forthcoming Mulaqats. No reminders of any kind to the Imam, please. If the Imam is benevolent enough to ask Mukhi Saheb if there is anything else, Mukhi Saheb can ask beloved Imam for more duas and ashish and can request Imam to please stay longer and not to go and to give more hidayat. That would be appropriate. I was stunned to read one of Hazar Imam’s comments in Toronto when He said Mukhi Saheb tells me I can leave now. Goodness!! How can any of us ever even intimate to the Imam that He can leave now, let alone tell Him point blank to go. Truly Canadians have totally lost it! And their sojourn in the first world has taken this ugly form in which they feel they are at the same level as Imam-e-Zamaan, to the extent that they can give the Imam reminders, ask Him very inappropriate questions and actually tell Him He can leave. Terrible, disgusting, shameful mistakes which must never ever be repeated again! This year, Beloved Hazar Imam will, inshallah, be physically present in Islamabad on the day of His 81st Salgirah. Mashallah! Alhamdulillah! I have read that the Imam has indicated to have no activities scheduled for this day. But please, please, please do NOT miss out on this opportunity of a lifetime! Please, please, please make sure that a cake is taken for the Imam wherever He is residing and a Salgirah Nazrana is presented to Him. Leaders may say “He wishes to be left alone on this day” and they may veto this. That would be the biggest blunder! 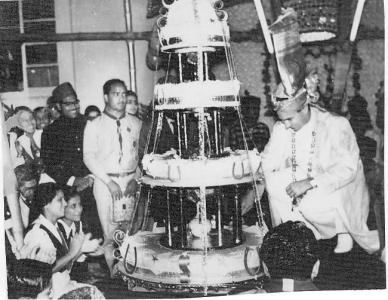 Mowlana Hazar Imam loves cutting cakes. His Noorani countenance always lights up whenever He is presented with a cake to cut. I’m sure Admin can provide enough photographic evidence from past occasions to support this surmise. Also, beloved Hazar Imam loves receiving and greatly appreciates Nazranas from the jamat, especially on His Salgirah. And in the past, such Nazranas have been returned to the jamat with blessings of thousand and million-fold multiplications. Therefore this is now a golden opportunity for the Pakistani jamat, not to mention a Salgirah falling in the Diamond Jubilee Year. 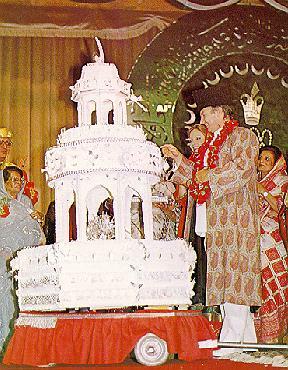 So it is my fervent prayer to the council of Pakistan to make sure cake and nazrana are taken to and for the Imam on this momentous day, 13th December 2017. Jamats in the past have blundered and let such glorious occasions slip by. For example, Dubai on 13th December 2003 and Paris on 11th December 2008. Since then, I have seen that the Imam does not choose to celebrate His Salgirah with any jamats. Let this change now in Pakistan. Kenya made the same blunder on 12th December 2015, no cake and no Nazranas for the Imam. And has Kenya not lost out? Let Pakistan keep our love for our Imam upper most by following what I have requested above. On the arrival on 7th December of Prince Aga Khan. He will visit places of Karachi, Islamabad, Rawalpindi, Chitral and Gilgit-Baltistan. Photos and text by Faqir Ullah Khan Ghulam Qadir in Hunza. After reading through all the exciting preparations and euphoria around the Darbar of the Imam, my only question to the LIF is: Why did it have to be in such cold conditions? Couldn't they have found a better time? BOONI: The Aga Khan blessed his followers with Darbar and Didar today at Booni Chitral. In his Darbar speech at Booni, the Aga Khan stressed his followers to live “within the ethics of Islam” and to remain “honest” in their day today affairs. He also emphasized unity among “families” and to “educate” the young generation in an effective way. By terming education a “lifelong learning process”, he stressed on acquiring education as a continuous and ongoing process. He also asked his followers not to “miss any occasion for acquiring education” and asked them to expend and disseminate the things learnt. Another prominent aspect of the Aga Khan’s speech was the instruction to his followers to build warm and good relations with other communities and underlined the importance of encouraging other communities for collaborative efforts for development and progress. He asked his Jamat to work in close collaboration with other communities and people in all professions. The third aspect of his speech was his directive to his followers to avoid all those social habits which are not beneficial for their families. He asked them not to deal with “drugs”, neither trading in it nor consumption. He emphasized his Jamat not to involve in “drugs”. The Aga Khan told his followers that they will find their Imam with them in any trials and tribulations in “all seasons”, at “every place” and in every “moment”. The Aga Khan also expressed his gratitude and thanks to the government of Pakistan for the warm welcome which he received during his visit to Pakistan. Due to bad weather the originally planned C130 special flight did not fly. Admin - whilst I appreciate the updates and testimonies - I am curious to find out how Tajikistan ended up in Northern Pakistan? The first picture isn't from the Diamond Jubilee Darbars - and isn't even from a Pakistan Deedar. For starters - the Jaboo is different. Tajikistan never ended in Pakistan, one Tajikistan photo may have ended in the dozens of Pakistan photos we have posted so there is really no need to be sarcastic. The wrong files may have been uploaded. This is why our Imam says only Allah is perfect. The picturesque setting was somewhat deceptive of the challenging environment, overcome by the resilience of the Jamat and their undying love for the Imam. 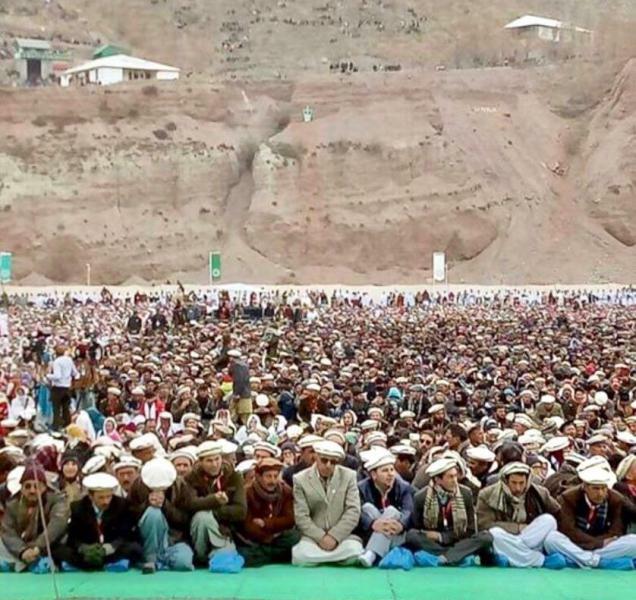 As thousands of Jamati members gathered in the four open-air locations in Garamchasma and Booni in Chitral, and Aliabad and Taus in Gilgit, the global Jamat watched in anticipation of the images released, expressing their happiness and good wishes. Preparing for Hazar Imam's Darbars in well-below zero temperatures in December was no deterrent to the warmth of the thousands of volunteers who came together over the past two months in preparation for the historic visit. It was as though the valleys came to life with intense activity, as the Jamat congregated from their villages and homesteads. For many, this was a journey in the most difficult of conditions. Nonetheless, they walked and prayed, braving the cold in anticipation of seeing the Imam. Tirelessly, volunteers worked around the clock, braving the cold to prepare the Darbar venues. Starting with the manual clearing of the rockiest plains, to laying them with hand-woven carpets carried to the sites from their own homes, to setting up lighting, and to decorating the stage; each murid worked with dedication, enthusiasm, and an incredible sense of unity. Scouts and volunteers added to the excitement, lighting the streets and bazaars in all four locations while others worked on maintaining the generators to provide electricity, food, water, and heating. Cars owned by members of the Jamat were donated for multiple journeys from a host of pick-up points in the region. Even so, some areas are completely inaccessible by road and the Jamat made their way patiently on foot; carrying children and aiding the elderly, bringing blankets and necessities, including snacks and flasks full of hot tea. And slowly, as excitement built, there was a joyous atmosphere as thousands of murids came together, with many opening their homes to host families from more remote locations. Whether young or old, they came together to prepare the sites. 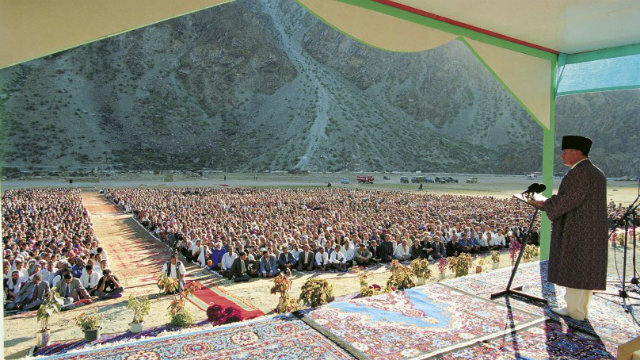 Arriving from Pakistan’s capital, Islamabad, on 9 December, Mawlana Hazar Imam met with government officials in Chitral before arriving by helicopter at the site in Garam Chasma, in Lower Chitral, to grant the first Darbar, where again, large numbers of murids awaited him. He then followed on to Booni, Upper Chitral, where thousands of Jamati members were also eagerly waiting. The following day, Hazar Imam granted Darbars in two locations in Gilgit-Baltistan. He began with a Darbar in Taus in Gupis Yasin and then proceeded to Aliabad, Hunza, to grant a second Darbar of the day, the fourth in the two-day trip to the region. Whilst in Gilgit, Hazar Imam also met with local government leaders. 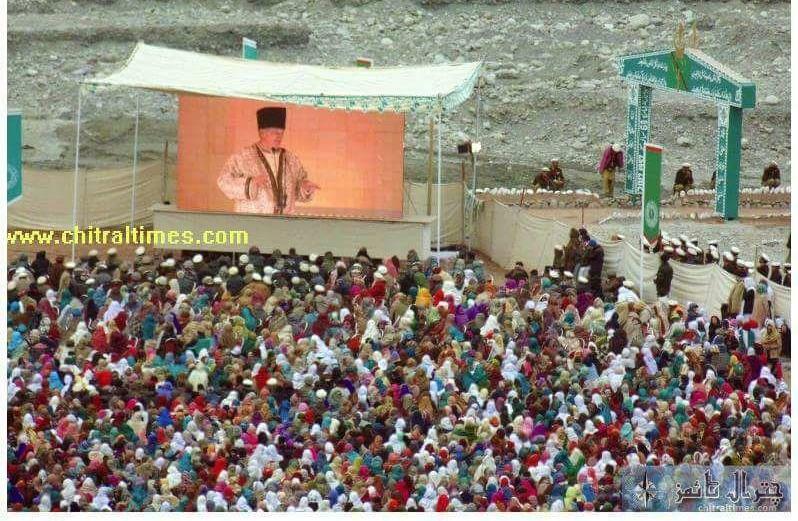 After granting these memorable Darbars, Hazar Imam returned to Islamabad to continue his Diamond Jubilee visit, leaving behind memories that the Jamats in the remote, yet spectacular mountain settings of Northern Pakistan, will cherish for a lifetime. Gilgit-Baltistan in Northern Pakistan is a remote mountainous region adjacent to the Himalayas, bordering China, Afghanistan, and India. It is the most diverse, multiethnic, and multilingual region in the country, with a majority Shia population, while the Hunza Valley, with its capital of Karimabad, has a majority Ismaili community. The region boasts more than 20 peaks of over 6,100m (20,000 ft.) including K-2, the second highest mountain in the world, and tourism is one of its major economic activities. Its capital of Gilgit was once an important city on the ancient Silk Route. Chitral is the largest district in the Khyber-Pakhtunkhwa province of Pakistan, and the country's northernmost district. It borders Gilgit-Baltistan to the east, Afghanistan to the north and west. To the north, the Wakhan Corridor separates Chitral from Tajikistan. The Aga Khan Development Network has been active in the region for four decades, beginning with the Aga Khan Rural Support Programme, which lately is focusing on water and energy security, increased agricultural productivity projects to reduce poverty, as well as continuing programmes in health, education, and the restoration of cultural sites. Some beautiful photos of the December 2017 visit of H.H. The Aga Khan in Pakistan, particularly in Karachi and at the AKU.